The Petrolimex Aviation Fuel JSC will ensure the fuel supply at all 26 airports in Vietnam under its five-year development strategy. The company is making up 30 percent of the aviation fuel market share with distribution systems across the country. It supplies Jet A-1 fuel for over 30 major airlines in the world, including five-star airlines such as Emirates, Singapore Airlines, Etihad Airways and Air France. In Vietnam, Petrolimex Aviation is providing a big proportion of fuel for many partners such as VietJet Air, Southern and Northern helicopter, and Hai Au Aviation. To accelerate growth in the coming time, the company moves to increase domestic production and sales of Jet A-1 fuel, especially when the Nghi Son refinery is put into operation. The company will step up connectivity with foreign partners to continue providing services for customers at all international airports. 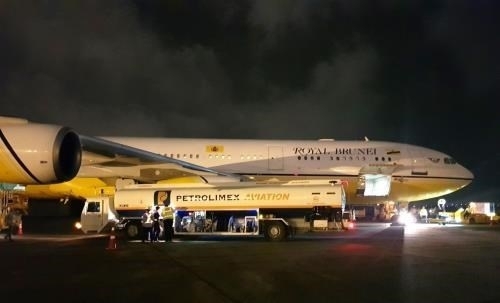 Over the past years, Petrolimex Aviation has established a fuel distribution network at 45 airports in Asia, including China, the Republic of Korea, Thailand, Singapore, Myanmar, Japan, Cambodia, and India through overseas partners. 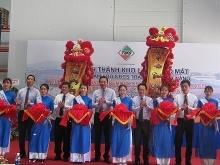 It was established in 2008 with founding shareholders of Vietnam National Petroleum Group (Petrolimex), Military Petrochemical Joint Stock Company (MIPEC), and Petrolimex Group Commercial Joint Stock Bank (PG Bank) and an initial chartered capital of 150 billion VND (US$6.6 million).